All new patients and families are welcome to register with our family practice. Our practice will monitor your family's health needs and assure utmost care. No appointment? No problem! 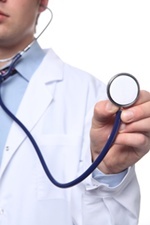 Our doctor welcomes walk-in patients who require a quick checkup. Don't forget to stop by the pharmacy for all your drug needs after you visit the walk-in clinic. Dr. Farag got her medical education at the Faculty of Medicine, Alexandria University. After the post graduate degree, Dr. Farag got her internship and worked in rural areas where she felt the desperate need for a reliable health care especially for low income families and more importantly to little children who had none to assist them. Dr. Farag decided to continue her education and got her Master of Science in Pediatrics to be able to better serve her community. Since moving to Canada in the early nineties she continued to study to obtain the license of the Medical Council of Canada. She also holds Certificates of Advanced Life Support and Advanced Cardiac Support. Dr. Farag obtained the certificate of Canadian Family Physician of Canada in 2009. Dr. Farag then worked as a family physician in Brandon, Manitoba with special interest in Gynecology and Pediatrics. 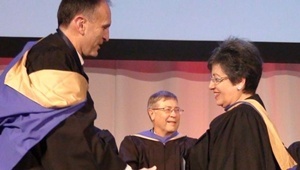 There she created a patient oriented practice that was overwhelmingly appreciated by patients and health care providers. Dr. Farag is a middle aged female physician and has two sons and two daughters in law. She is blessed with two granddaughters Maria and Monica and two grandsons Matthew and Noah. 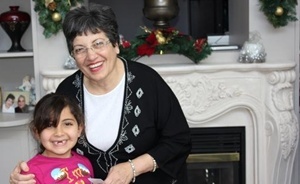 Dr. Farag enjoys spending time with family and serving her community. She is looking forward to establishing a good rapport with her patients in the Clarkson neighbourhood.